Online forms of media can make searches a lot more efficient and accurate when it comes to obtaining the relevant data. 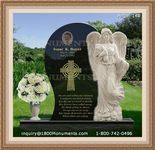 In the search to find obituaries, there is the option to make use of the internet rater than tracking down old and outdated newspapers. One should search for the most suitable means of accessing the information that you wish to obtain. While the web serves as a vast platform, it is possible to find an obituary from a particular year with the correct effort. It can take some time to search through all relevant documentation, but can aid in delivering the results you are looking for. With the correct preparation it is possible to receive details in a shorter period of time. For an effective search online you will need to include the personal details of an individual. This involves a last name, first name, place of residence, and date of death. 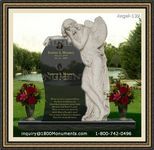 It can help if you have extra information such as the place where the person died. If possible, the search can be made far more efficient if you possess a newspaper print for the date of death. The details of a paper should be included such as the name and the date that it was issued. There are a number of ways to obtain the data that you are looking for, without such information. One may search for a Death Index where you can enter the social security numbers if the recipients. 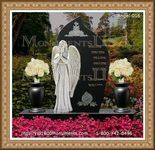 It is beneficial to include the state that the card was issued in and the residence of a deceased. Newspaper clippings that are in your possession should include the time of the print.